Preheat oven to 400 degrees. 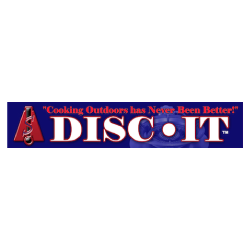 Line a shallow baking pan or baking sheet with foil and spray heavily with non-stick spray. 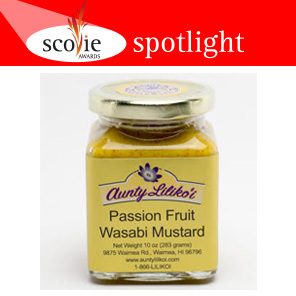 Mix together melted butter and Aunty Lilikoi Passion Fruit Wasabi Mustard in a medium bowl. Combine panko, Parmesan cheese, salt and pepper on a dinner plate or platter. Dip chicken thighs into butter/mustard mixture and gently toss to evenly coat. 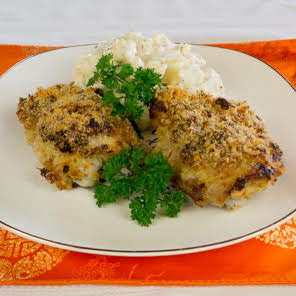 Press each chicken thigh into panko crumb mixture, evenly coating on both sides. Place chicken on the prepared pan and spray the top of each chicken thigh with additional non-stick spray. Bake for about 25-30 minutes until coating is crispy and brown and chicken is thoroughly cooked. Place potatoes, garlic and sea salt into a dutch oven. Add water to cover the potatoes. Bring to a boil and cook for about 10 minutes, until potatoes are done--do not overcook. Cool. Combine all ingredients and mix well, taking care not to smash the potatoes. Chill well before serving.